We tend to be science and culture nerds around here, but we also recognise the absolute importance of how being emerged in nature is truly good for both the mind and the body. 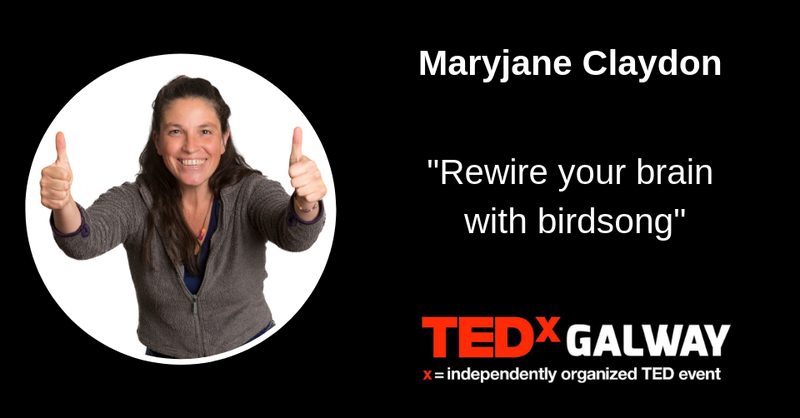 So next up for TEDxGalway is Maryjane Claydon and her talk is titled "Rewire your brain with birdsong." Maryjane Claydon moved to a yurt in a home educating community in rural France to escape the rat race. Deeply impacted by emergence in Nature sounds, she hosts a podcast of hope recorded in the forest as an antidote to the despair of the mainstream news. Maryjane examines how the sounds of nature impact on our physical and mental states.